The American Legion is seeking to intervene in a lawsuit challenging the constitutionality of a cross-shaped World War I memorial in Maryland. The lawsuit was filed earlier this year by the American Humanist Association, a group that advocates for atheists and others who do not believe in a deity. It says the display of the cross by the Maryland-National Capital Park and Planning Commission amounts to government sponsorship of religion and violates the First Amendment. The Bladensburg World War I Veterans Memorial was erected by the American Legion, a group founded by veterans of that war. It was dedicated in 1925. On Thursday, the Liberty Institute filed papers in federal court asking a judge to allow the American Legion to join the lawsuit so it can defend the memorial. Rest in Peace Sen. Laxalt. You were one of a kind. I wish there was somebody like you around today who would help me make a start. God bless you. I hate all these Millennial brats. When Reagan was president, they hadn’t even been born and they walk around like pompous know- it- alls! Meanwhile, Generation X is always ignored and spat upon. 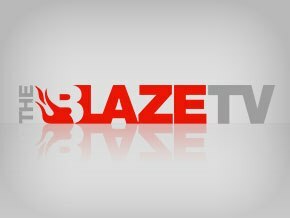 Subscribe to The Blaze TV. Often imitated, never duplicated! The Obama nightmare is finally over! Now we have to undo the damage he has done. The question is: Will the GOP actually do it? Sending Support and Love to all Law enforcement officers all over America. Thank you for risking your life to protect us. Our heart is with you! Thank you to Sundance & the Conservative Treehouse for linking to our Mark Steyn article. We have had record breaking traffic. It’s now the highest viewed article we have had in 4 years. I hate the movies. I only go about once a year if it’s a movie made by conservatives. I refuse to give my money to Hollywood because of what that industry has done to our country. And over the past ten years since I quit going to movies, my life has improved. It’s so much better without their garbage. Try it! :) Replace movies with books. Books are better! We need an Article V Convention Of States Now! Click the photo below for articles & videos. Do you feel reduced under absolute despotism? Then it is your DUTY to do something about it. Click the photo above which is a passage from the Declaration of Independence and read some articles about having an Article V Convention of the states. This site is 100% Free From Advertisements! No Ads! No Subscription Fees! We aren’t trying to profit from the demise of the country. *****No annoying, blinking, irritating commercials! *** No Pop - ups! ***Nope, Never! ****** WE'RE JUST DOING IT FOR THE CAUSE! Sen. Mike Lee has a new book! Happy 5th Anniversary to the 9-12 Project! And even though the Tea Party movement started during the Bush administration, and the Reagan Revolution has been going on for decades, some of the national Tea Party organizations started about 5 years ago. So, happy birthday. We have achieved a great deal and the best is yet to come! The Left and the GOP establishment haven't seen anything yet! I think we are at a crossroads in history. I don't know how this will end but I want to document it. I want to leave words behind me so others will know the truth. I once lived in a time and place when men were free. Frustrated? Want to Vent? Send us a letter to the editor. If we like it, we’ll post it! Click the photo below. syndicated columnist, Cal Thomas; defender of unborn babies, fighter for life and Martin Luther King Jr.’s niece, Alveda King; Billy Hallowell, Faith editor at The Blaze, Brian Sussman, author and radio show host ,author Harriet Parke, TV personality Larry Elder, Jenny Beth Martin from the Tea Party Patriots and The Blaze TV & Radio host, Buck Sexton. Big thanks to all! Sending love, hugs & kisses to everyone who visits this site. Mwah!